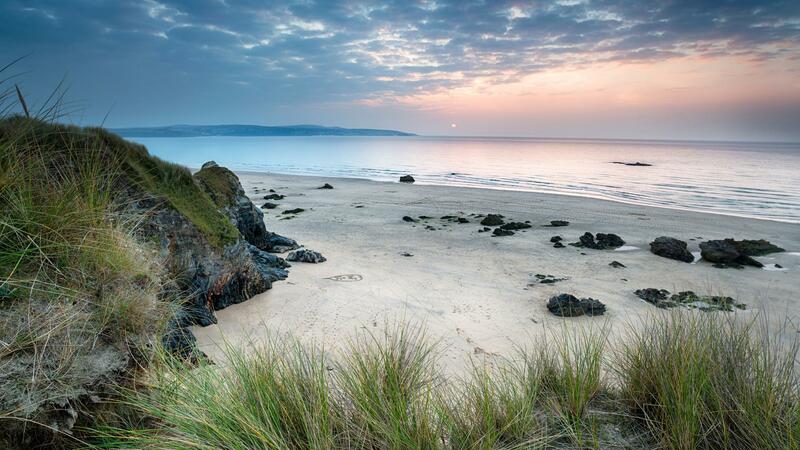 Finding a good beach to relax on in Devon and Cornwall is easy, but finding one of the best? That can be a little bit more difficult. 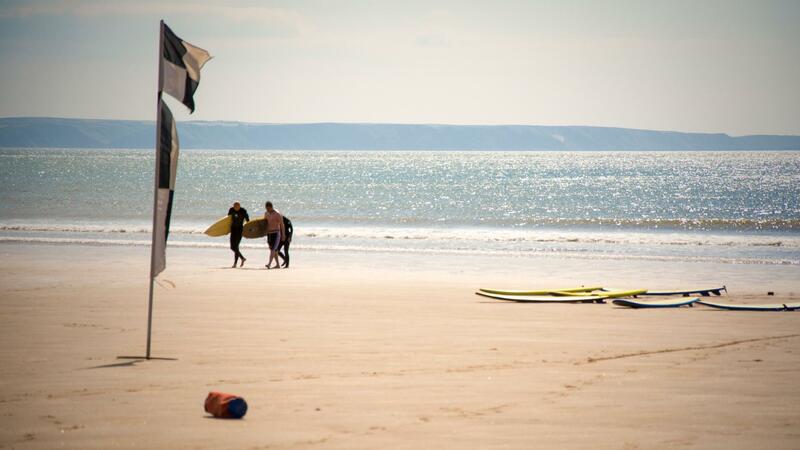 Fear not, because whether you're looking for a beach to see the sunset, the perfect place for a beach feast in the height of summer or a secluded cove where you might see seals and dolphins, we've rounded up the finest beaches in two of the finest English counties for sand, sun and surf. Plus, there are holiday home recommendations from South West self-catering specialist Stay In, so you'll know where to stay while you're there, too. Head a couple of miles up the coast from the huge beach at Watergate Bay and you'll find the gorgeous golden sands of Bedruthan Steps. The dramatic granite rocks that dot the beach are said to be stepping stones once used by a giant called Bedruthan, but for us they're just the perfect scenery for photos as the sun sets out west. The beach is only accessible at low tide, which means you may have to time your visit, or risk watching the sunset from the clifftop above. Then again, given the views from up there, that's probably no bad thing. There are good surfing beaches in North Devon, and then there's Croyde. The small surfing village faces west into the full power of Atlantic swells, meaning it's the place to head for consistent waves, whether you're a beginner or expert. At low tide, you'll get world-class barrel-shaped waves, and the beach is pretty huge away from the water, so there's plenty of room for kicking back, relaxing and building sandcastles, too. 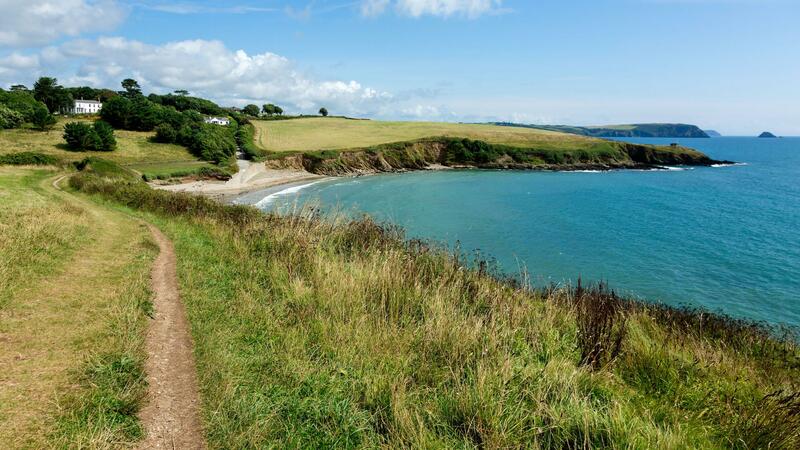 Cornwall's Roseland peninsula has a real wild feel about it: separated from the rest of Cornwall by the winding estuaries of the Fal, Tresillian and Truro rivers, it's the place to go for chilled-out, uncrowded beaches and great food fresh from the fields and fishing boats. Head to Porthcurnick beach, a cove just north of Portscatho, and you'll find the Hidden Hut. By day, it's a small beach eatery serving fresh local grub, but on select summer and autumn nights chef-owner Simon Stallard and his team roll out long tables on the beach for epic wood-fired beach feasts. Make sure you book ahead. 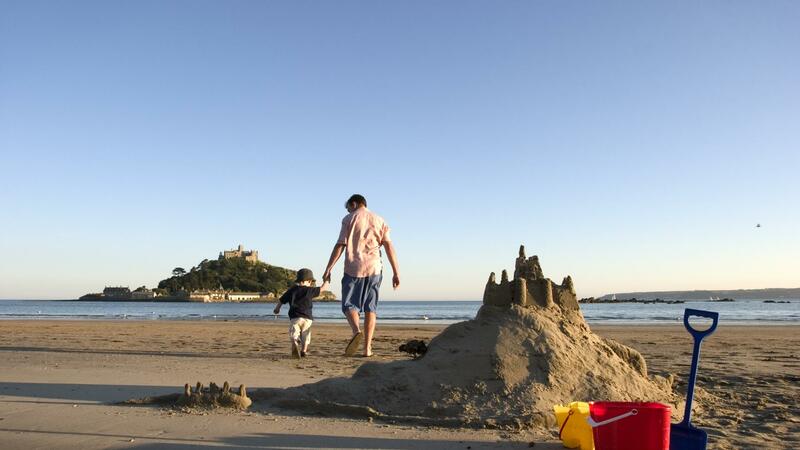 The long sandy beach at the southwest Cornish town of Marazion is notable for one thing in particular: the tidal island of St Michael's Mount that sits out in the water opposite. 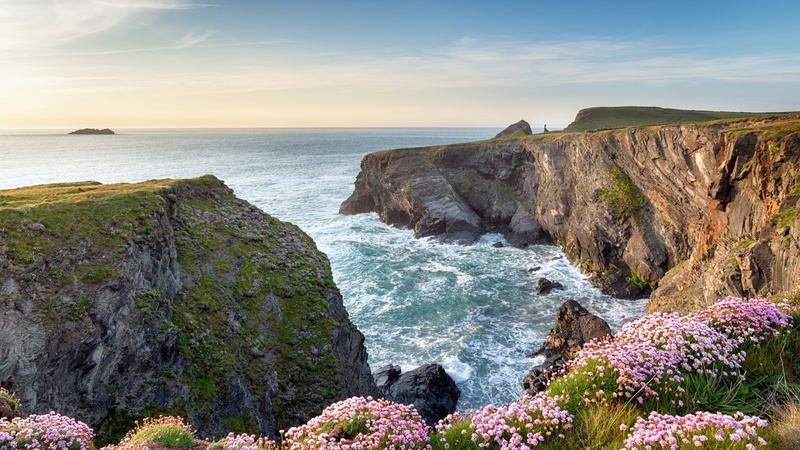 Home to an iconic castle, a cliffside garden with aloe, agave and succulents, and a small village, it makes the perfect day out if you're visiting the westernmost reaches of West Cornwall. The island can be accessed at low tide by a 500m-long granite causeway that's been used by pilgrims and tourists for hundreds of years, while at high tide it sits stately in the water like something from an old English legend. Found to the eastern side of St Ives Bay on the Cornwall's northwest coast, the beach at Godrevy has a little bit of it all: surfers popping up on dependable waves, dramatic cliffs covered in heather and gorse and a lighthouse on an island 300m out in the water. But more than anything, Godrevy beach and headland nearby are great for seeing some of Cornwall's finest wildlife – there are seabirds like cormorants, fulmars and guillemots, plus birds of prey, grey seals and even the occasional bottlenose dolphin to be seen. Walk the coast path and keep your eyes peeled. This sheltered bay on the secluded south coast of Devon is a haven for families, groups and couples looking for a romantic place to relax. 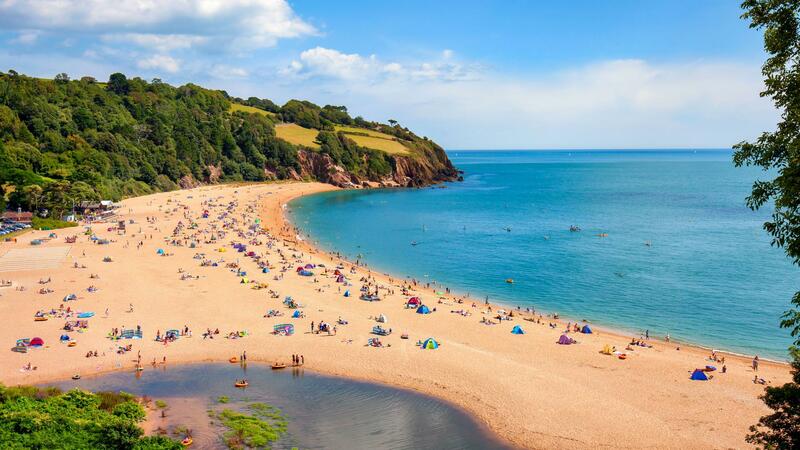 Made of fine golden shingle and surrounded by remarkably blue water, this is one of the finest spots for swimmers in the south west of England. Given its Blue Flag status and dog-friendly beach café Venus, this beach is very popular on hot summer days, but when you're basking in the water, you won't care a bit.